Magical tools can be found in all sorts of strange places these days. From conversations about turning your potpourri warmer into a slow-burning witchy cauldron, to using your iPod as a divinatory device, people are getting witchy where they can these days. In bygone eras our witchy ancestry, so we're led to believe, used what they had on handle - the broom, the cauldron, the sickle - because it's what they had. Not because a broom is more magical or special than any other household object. And so, with all that very serious background, let's make magic with socks! The principle behind this magic is in the notion that your body is like a tree, with your feet being the roots. One could apply some ideas of chakras to this style of magic, but I am disinclined for two reasons: 1) your root chakra is at the base of your spine, not your feet and 2) I don't like misappropriating spiritual ideas; I find it messy. However, there are plenty of other types of magic that can be utilized that are perfectly sound. In this case, I believe the magic of socks is a type of sympathetic magic. In other words: like a tree, I see my feet as my roots, drawing energy up into myself. Thus, what I clothe them in can set a standard for the kind of energy I am drawing into myself. We do this all the time already (or, at least I do). Women will tell you that the dress can be amazing, but if you miss the mark on the shoes the whole outfit is off. Men, you can wear a messy shirt and some blue jeans, but a dress shoe changes the entire aspect of a look. (*cough* we're talking fashion now *cough*) In literature oftentimes a shoe can give away an entire disguise (the film Ever After and the finale scene of the novel The Invention of Wings each have scenes in which a shoe gives away an entire disguise). What you wear on your feet is telling, and powerful. But, we're not talking about the magic of shoes. We're talking about socks. So let's go back to the root and tree analogy: if the shoes are the soil, then the socks are the water. How nourishing is plain water? Those of us that garden know that it's better to add fertilizer, plant food, etc. to the water we use on our vegetables, herbs, and flowers. Good soil counts for a lot, but nutrient-rich water will give you those dinner plate size sunflowers your neighbor will covet all summer. So after you slip on those boots or trainers or loafers, consider your sock. In my experience, there are two good ways to use Sock Magic: totemic and color. But, there are a lot of socks out there like the above, and they don't all have animals on them. I wear anchors when I want to feel a little more grounded, or, more specifically, if I feel like I'm walking into choppy seas and want to ensure that I remain unmoved. Some of my favorite places to get critter/totem/icon socks like this are: J. Crew (retail & outlet), Target, and Amazon. 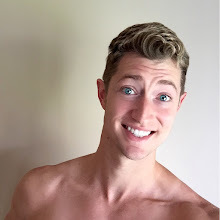 I've also found some good stuff at places like Nordstrom Rack, Ross, and T. J. Maxx. Seriously, if you're wanting to make a move in your life, or you're wanting a little bit more speed in your step today, how about a bicycle? The great thing about these is that you can wear them with anything. Casual or dress wear, it's perfectly fashionable to wear a fun sock with a suit. It gives your black, navy, or khaki garb a little character, and it expresses who you are in a safe, acceptable way. I keep a pair of socks with these adorable spectacles all over them squirreled away until book club. I break them out once a month and wear them to book club meetings. They're very special and put me in the right mood. Don't like the idea of critters of icons all over your feet? That's ok... You can totally get the same effect with colored socks. We all know about color correspondences in magic, well use that to give yourself some color nourishment on your feet! When I want to feel springtime energy anytime of the year, I wear a pair of socks with greens, yellows, and robin's egg blue (pictured above, far right). I don't care what season it is, they help brighten my mood, especially when I look down and get a little flash of those bright colors when the world outside is overcast and cold. Get creative! You can wear solid colors or, as is my obvious preference, patterned colors. Again, places like J. Crew, Target, Amazon, and nearly any clothing retailer you find will have patterned socks in lots of colors. For the brighter or more ostentatious colors, you might want to go to the trendier stores, but you'll rarely pay over $10 for a pair anywhere - no matter the price tag on the rest of the clothing. And, naturally, there aren't just crew length socks. You can get boat shoe socks in fun colors, patterns, and icons. Ankle socks, tube socks, etc. The styles, patterns, and icons are almost endless. I don't use any kind of verbal enchantment or written spell over the socks before I put them on, but who's to say you can't? Make it your own! I'll embody spring to everyone I meet! I have a similar practice for other accessories in other areas of the body. Earrings are a great way to keep yourself in a given mindset. Are you feeling scattered and want to get centered? 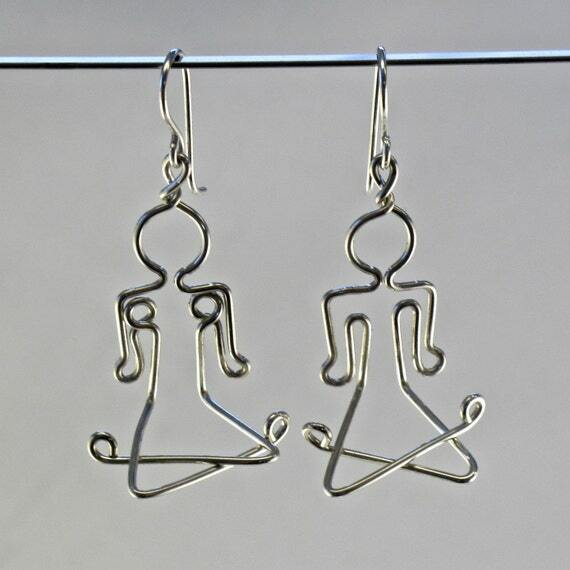 How about some meditative, lotus position earrings? 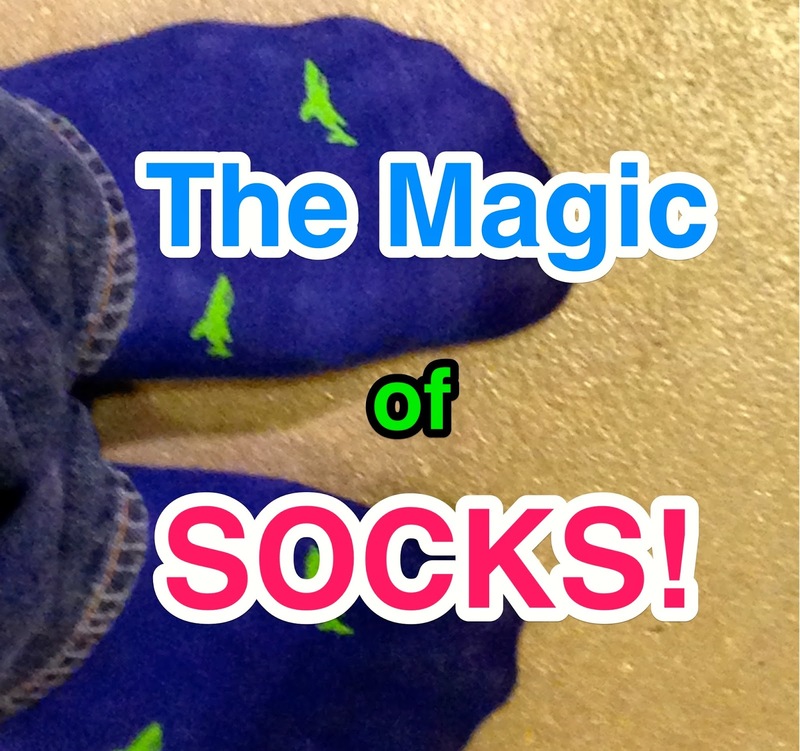 How might YOU employ Sock Magic in your daily life? What will your first pair of magic socks be, and what purpose will they serve? Knitting your own magic into socks can be yet another level of this practice. Very timely blog post ...I've shared it with some fellow knitters. Thanks ! I'll have to pass this article on to Laine, as she will likely love the idea of knitting witchy socks. One thing I didn't see mentioned but that would totally line up with this is the idea of foot-track magic from the African diasporic traditions (a form of contagious magic). It would be really easy to wash a pair of empowering socks in a light rinse of some sort of magical formula, let them dry, then wear them to draw up that empowerment all day long. Or barring that, a quick spritz of a favorite magical scent might do the trick, too. I'm also thinking this would be good to incorporate into underwear (as mentioned by Knusperhaus above). As an aside, I know there's at least one spell using the worn socks of two lovers which involves knotting them together, then placing them under the bed or in a trunk or drawer halfway in/halfway out to prevent the partners from straying. Not quite the type of magic you're talking about here, but it just came to my head while reading this. Nice ideas! I may have to start thinking a bit more about my sock selection now! I love to wear funky socks. I have lots of pairs of ready made funky socks and I am also a sock knitter and always knit different types of superb designed socks and now i will definitely try to knit these types of magic socks. thanks for sharing this informative post.